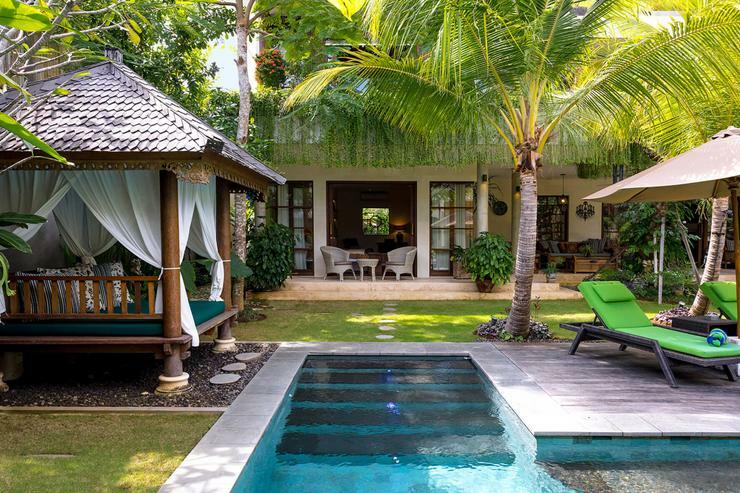 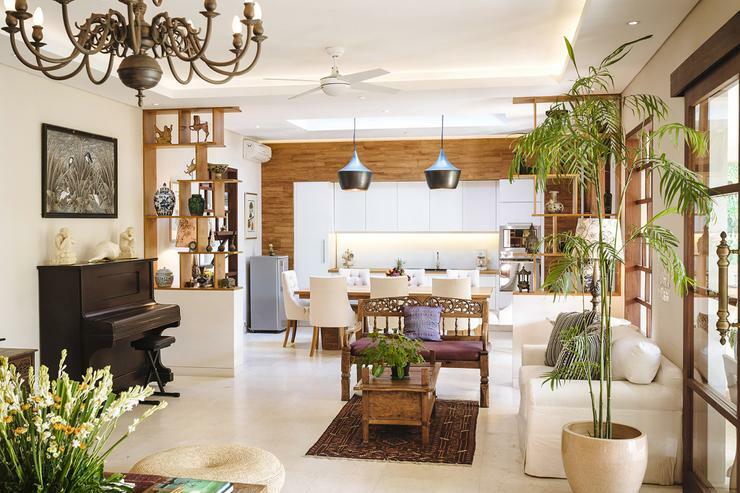 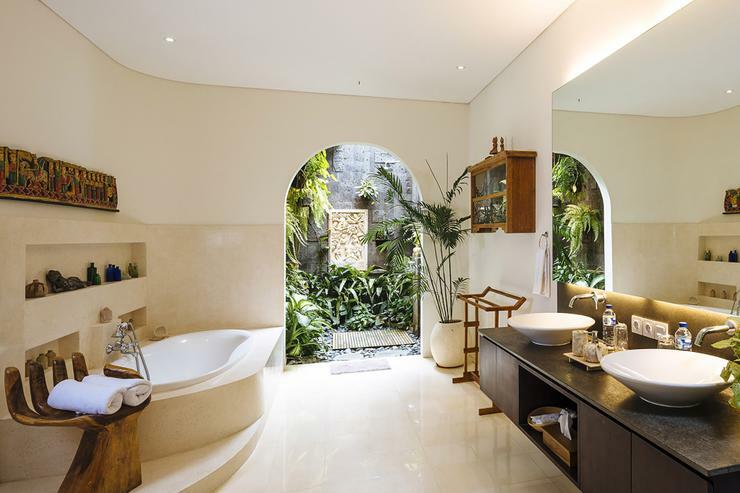 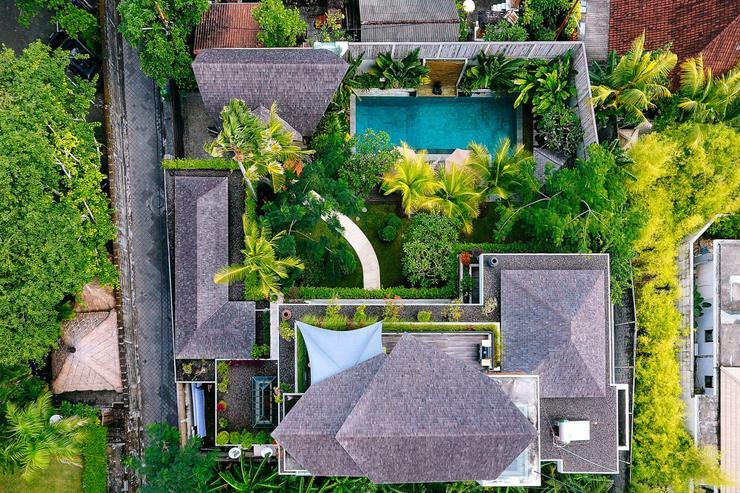 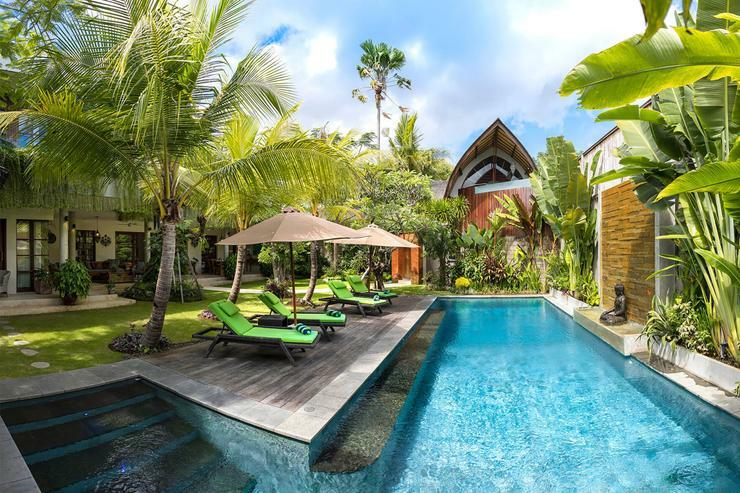 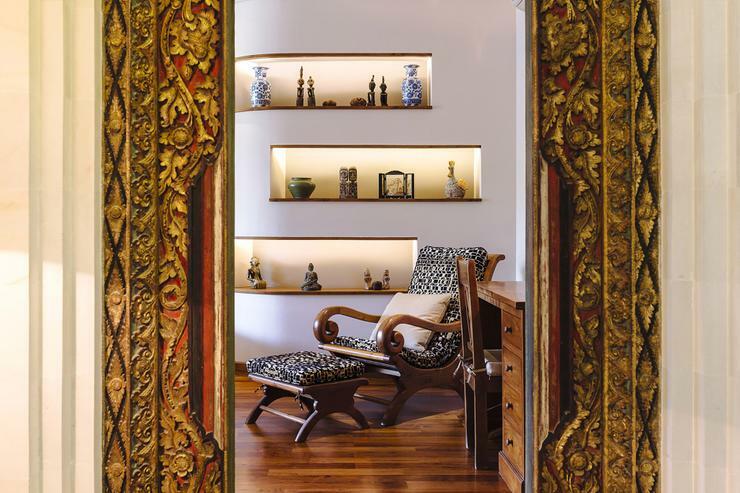 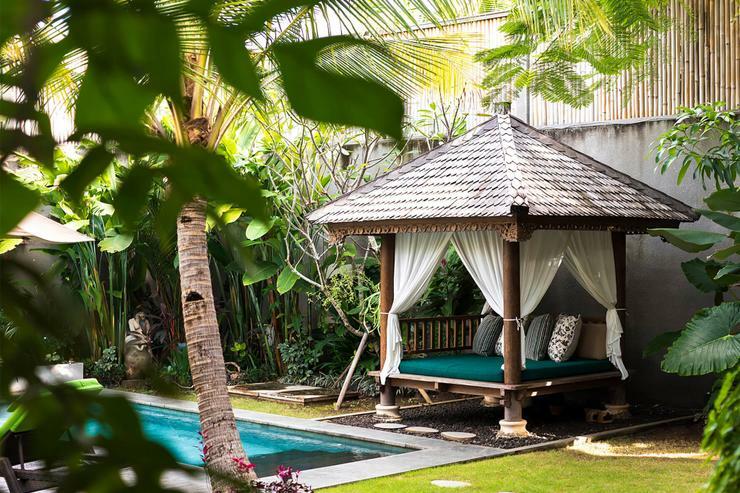 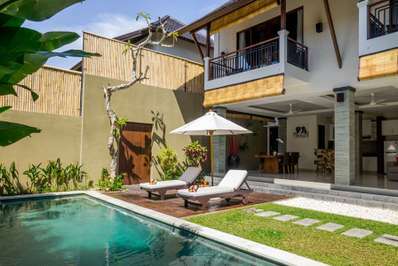 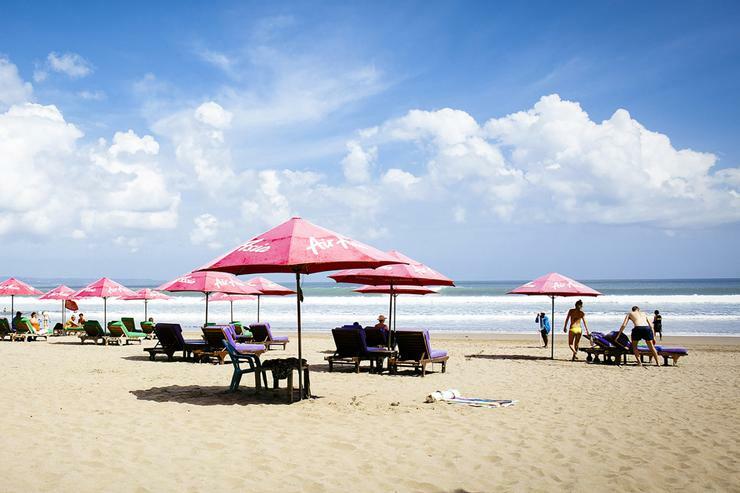 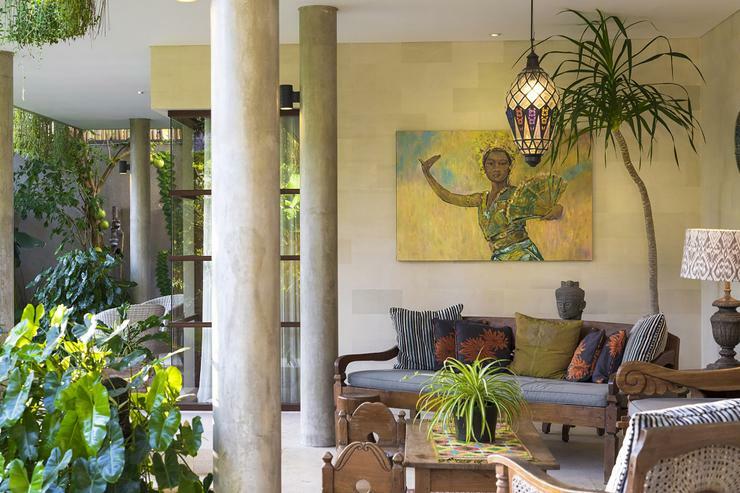 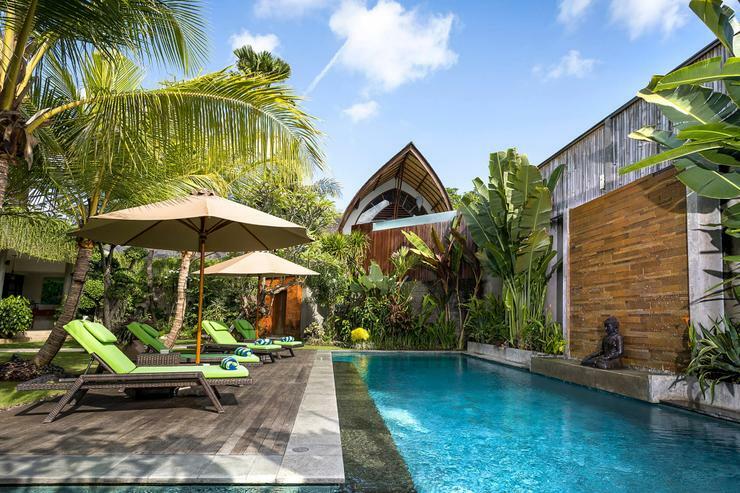 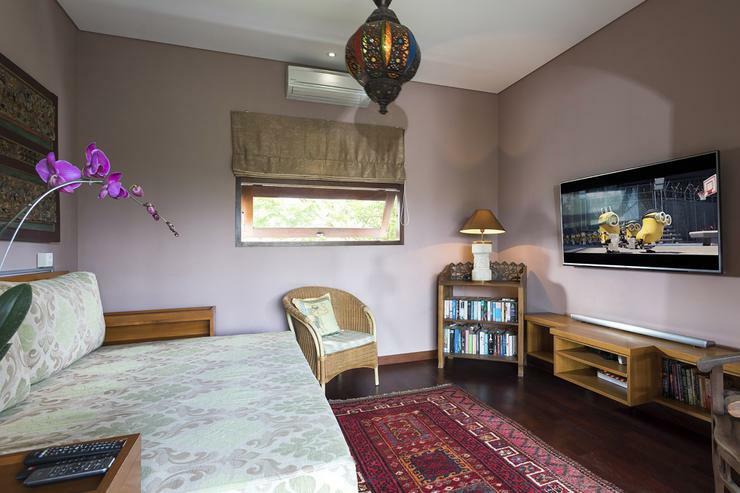 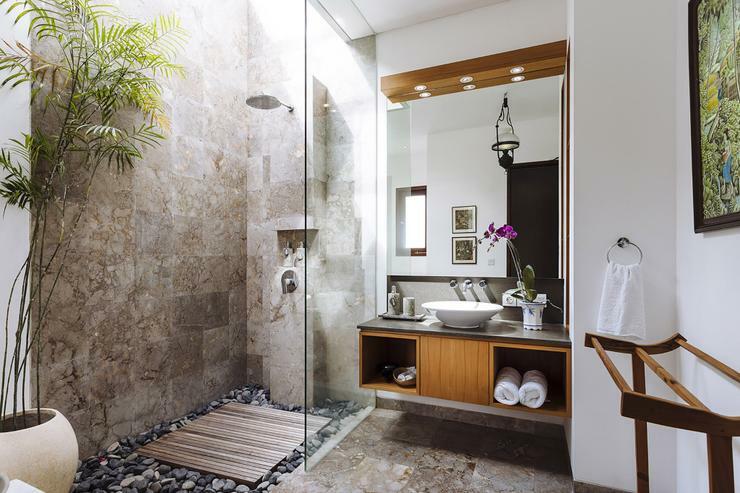 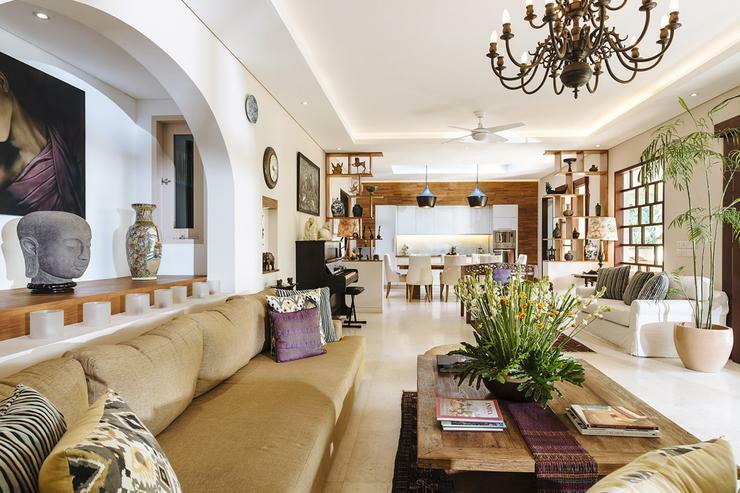 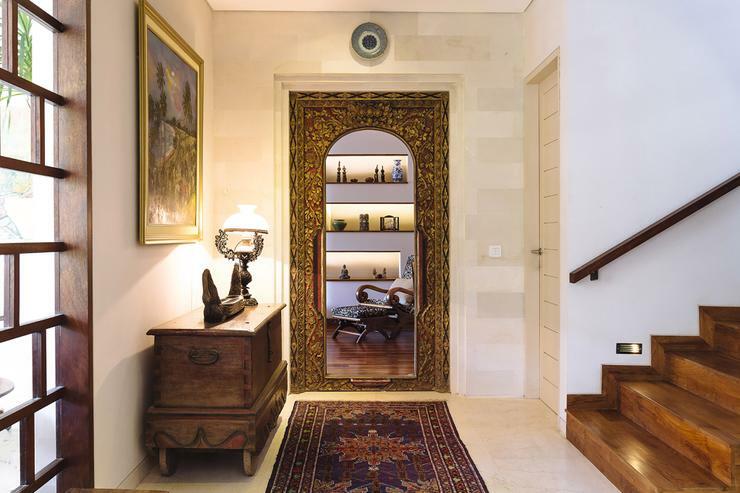 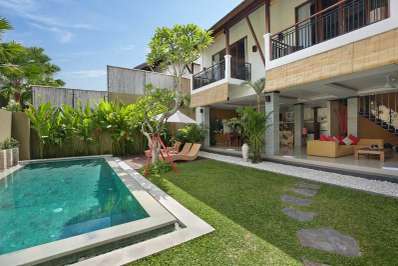 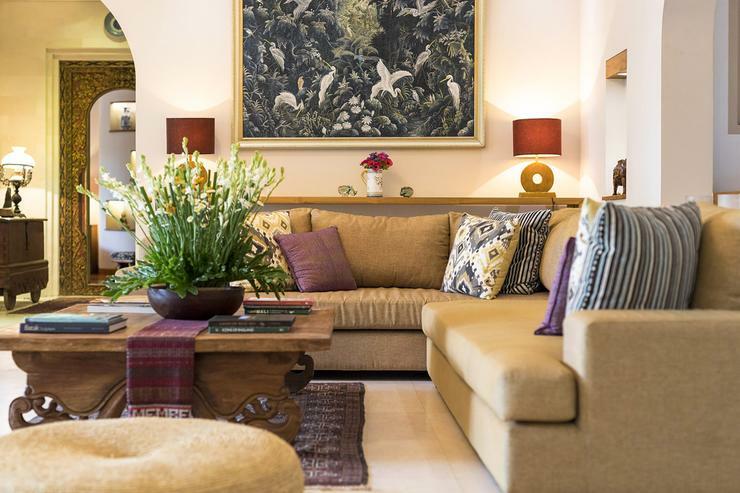 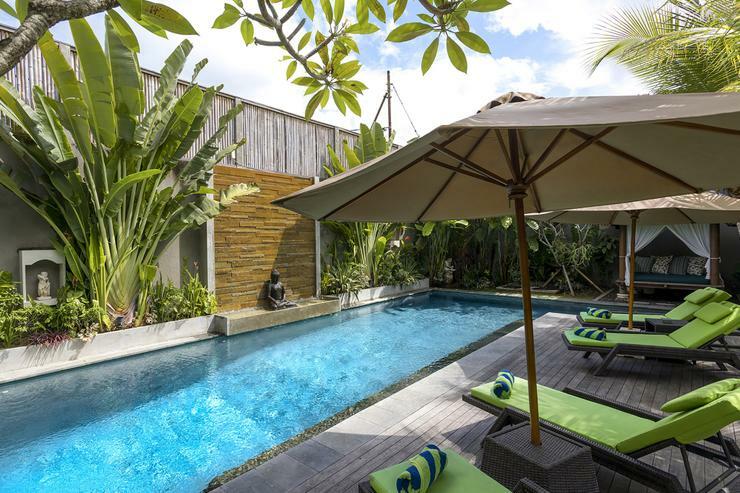 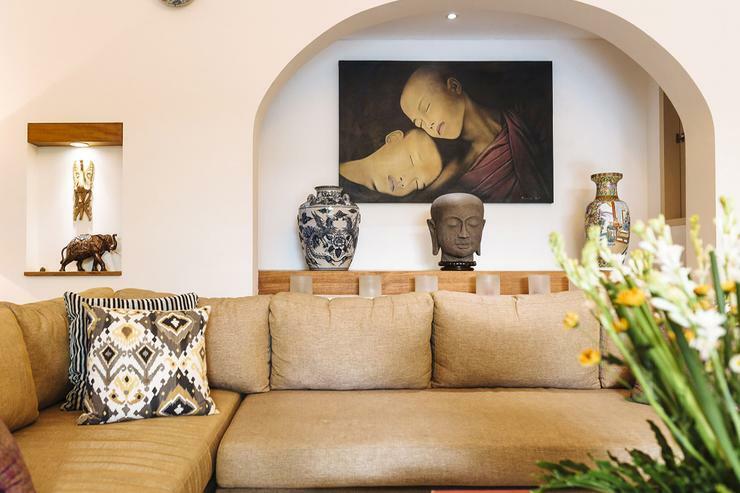 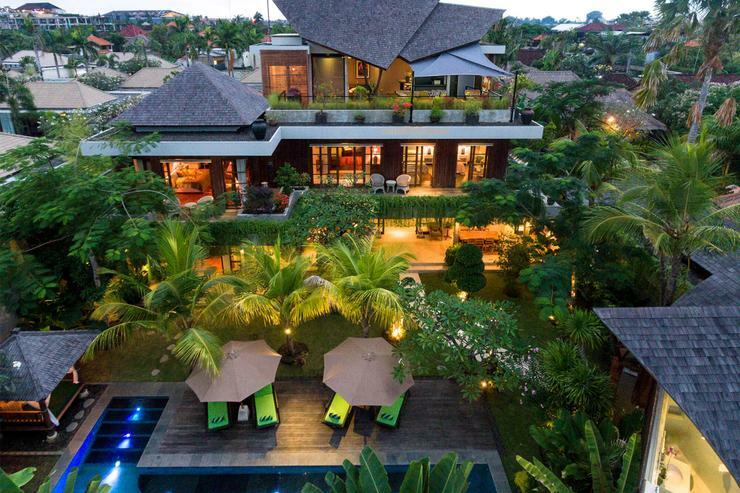 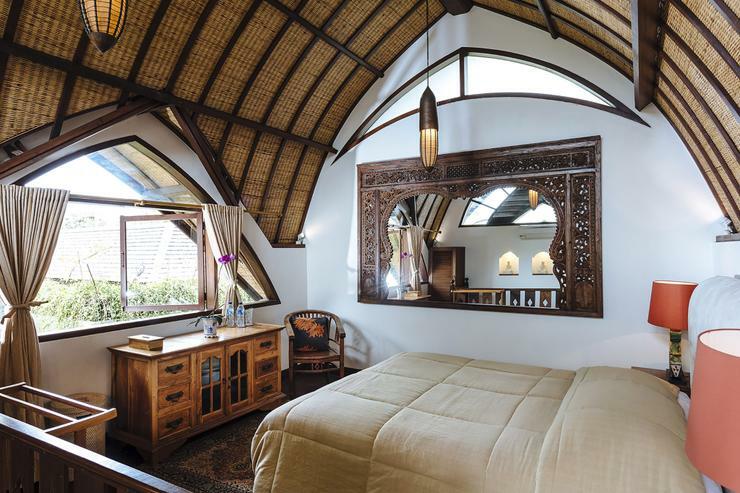 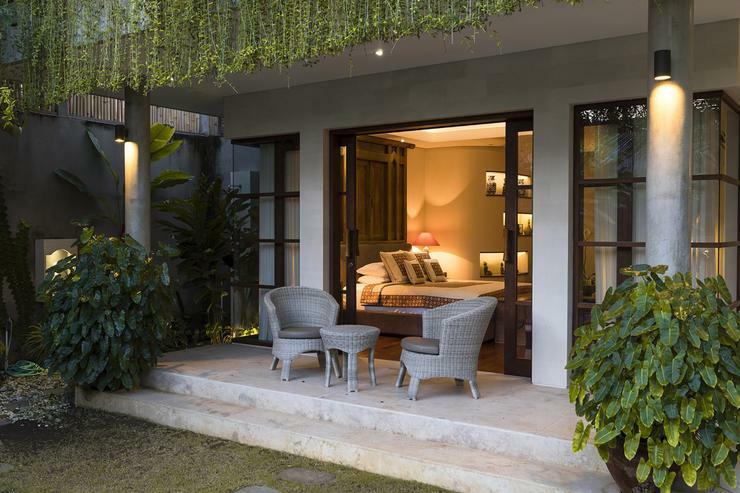 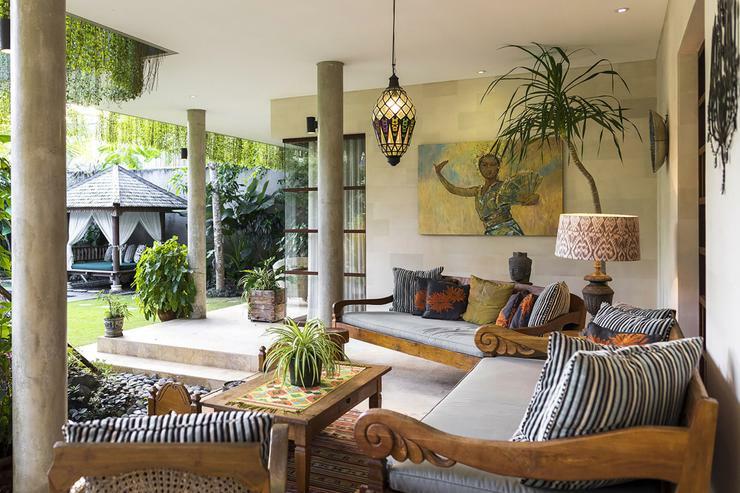 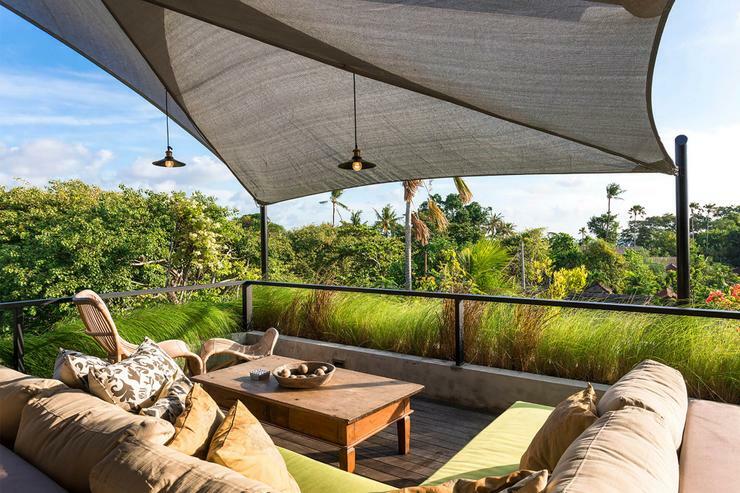 Not only is The Baganding Villa just a stone’s throw from the sweeping sands of Seminyak Beach, but it’s also within walking distance of some of Bali’s most popular attractions. 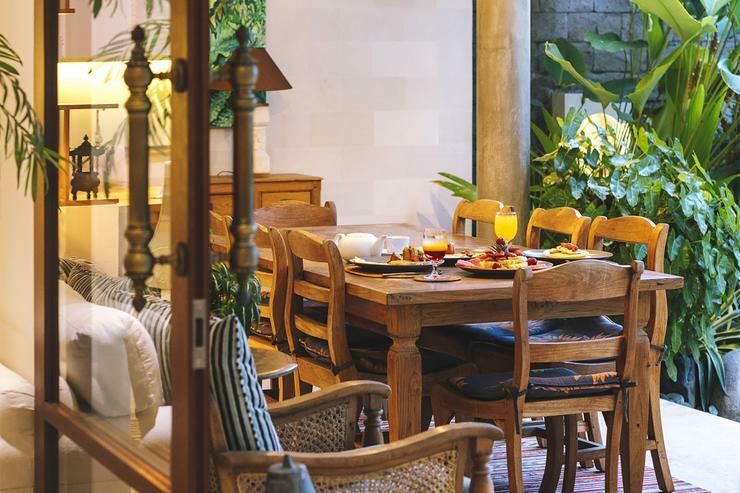 Ku De Ta, Mrs. Sippy and Potato Head beach clubs are just around the corner, as are the trendy boutiques of Oberoi and Petitenget – perfect for when you need to run back to the villa to drop off a few shopping bags! 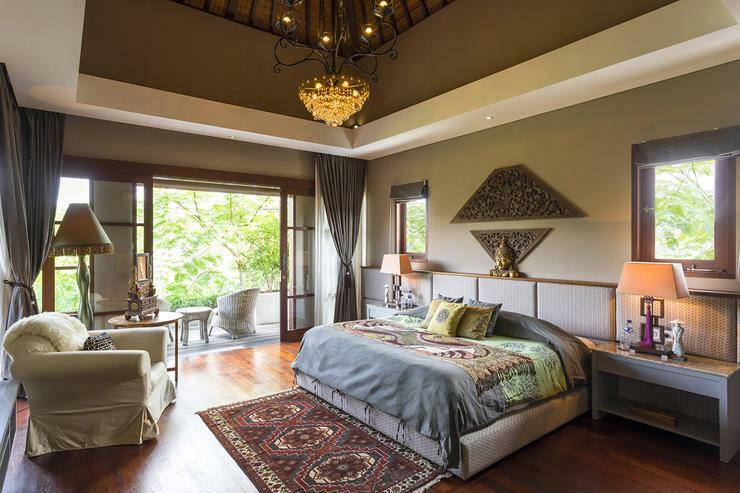 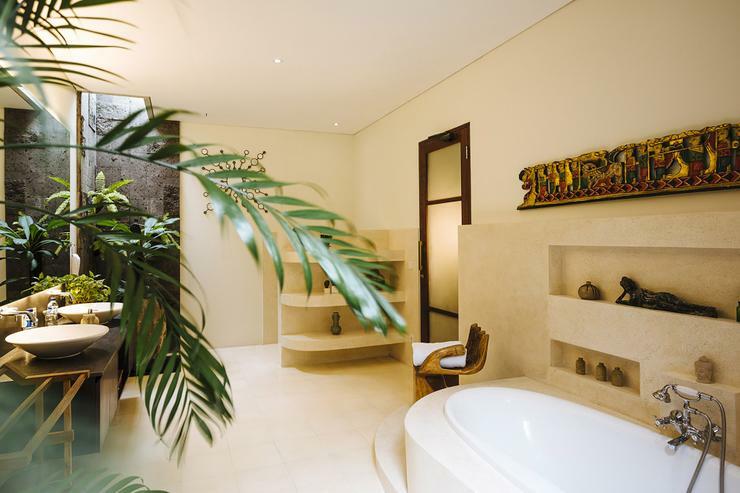 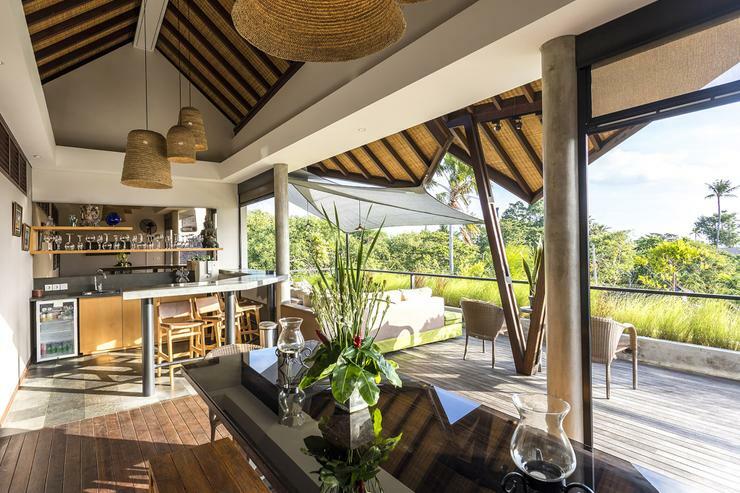 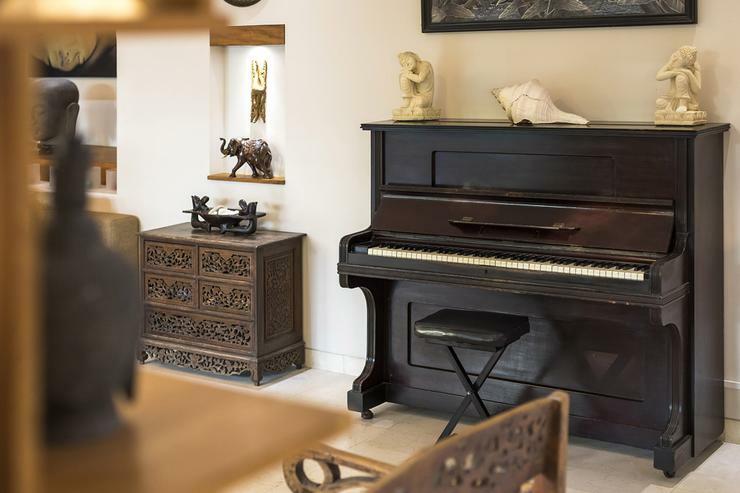 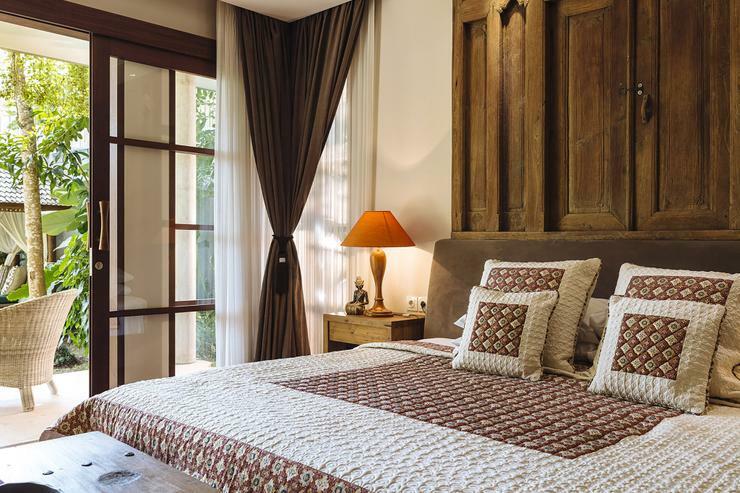 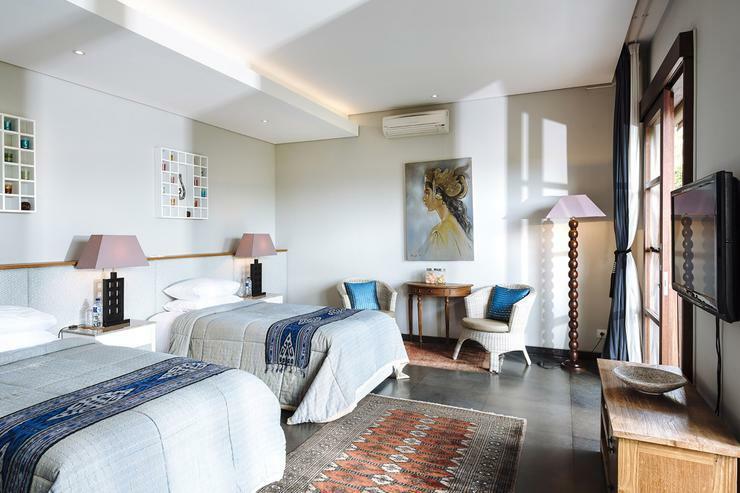 With its four spacious, stylishly decorated ensuite bedrooms, The Baganding Villa is perfect for families or groups of friends looking to share their holiday experience while also enjoying privacy and room to breathe. 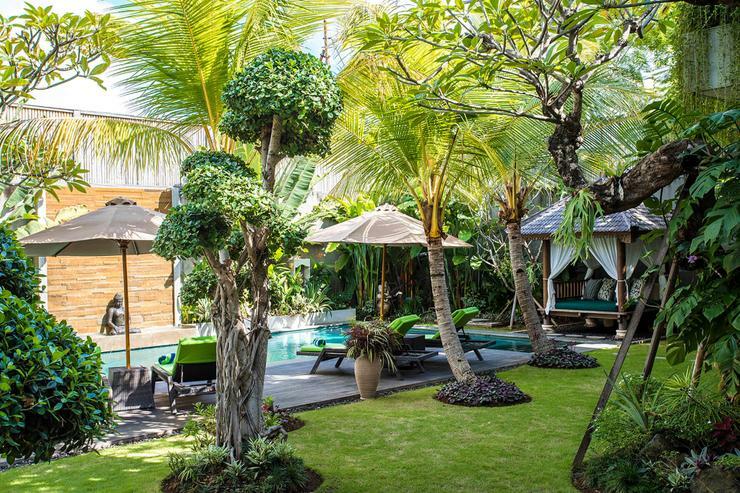 Unwind on a veranda or poolside lounge chair with a cocktail prepared for you by your personal, experienced staff, or wander the immaculate garden to the serene sounds of tropical birdsong and water trickling from the fountains. 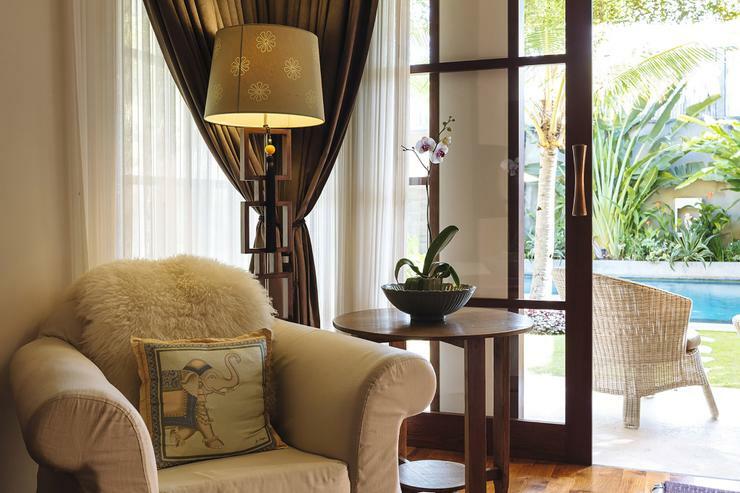 Indoors are air-conditioned living spaces furnished with large soft-cushioned sofas that provide optimal comfort. 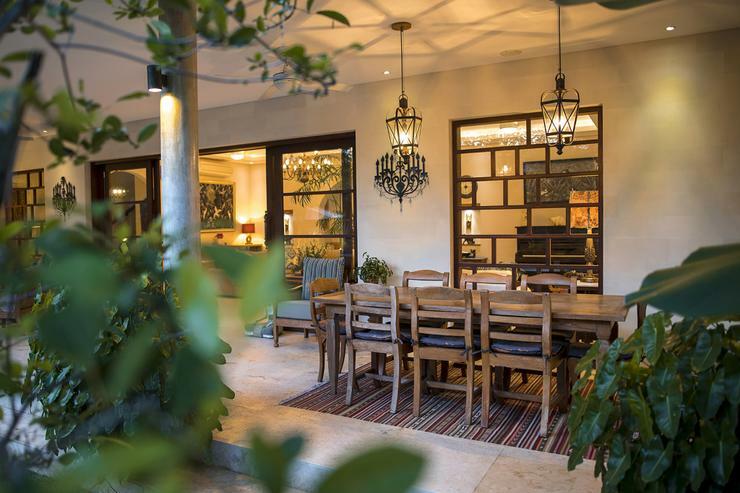 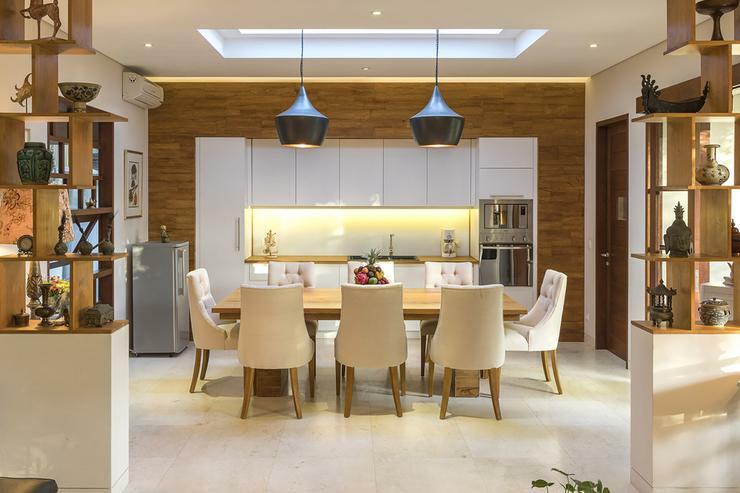 Enjoy dinner in the refreshingly modern dining room with seating for eight. 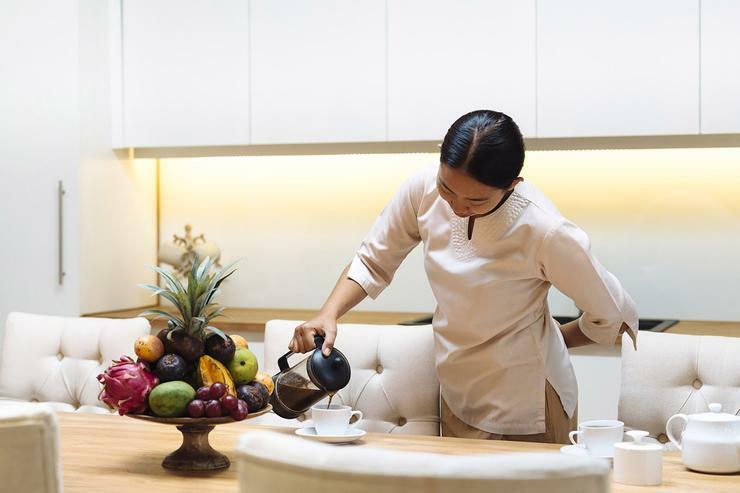 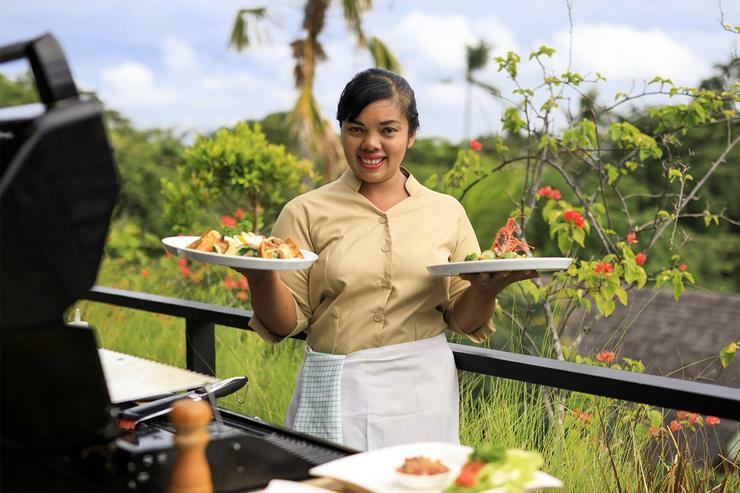 Savour the tastes of freshly cooked Asian and Western cuisine prepared for you by your personal chef. 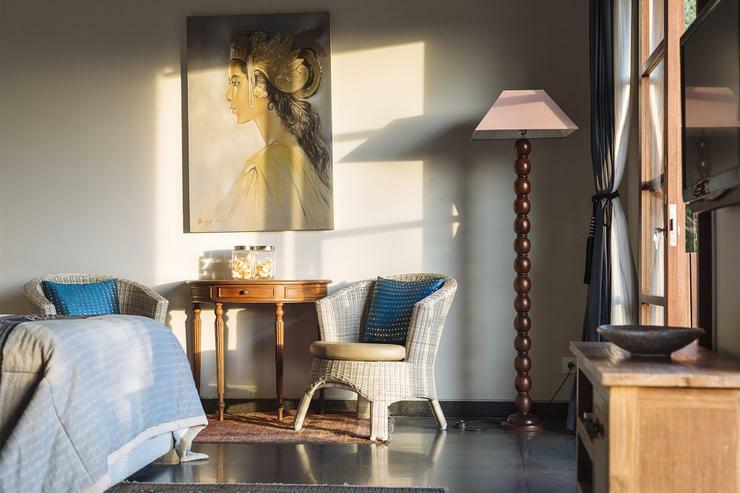 Then head upstairs to the rooftop bar to relish a magnificent sunset. 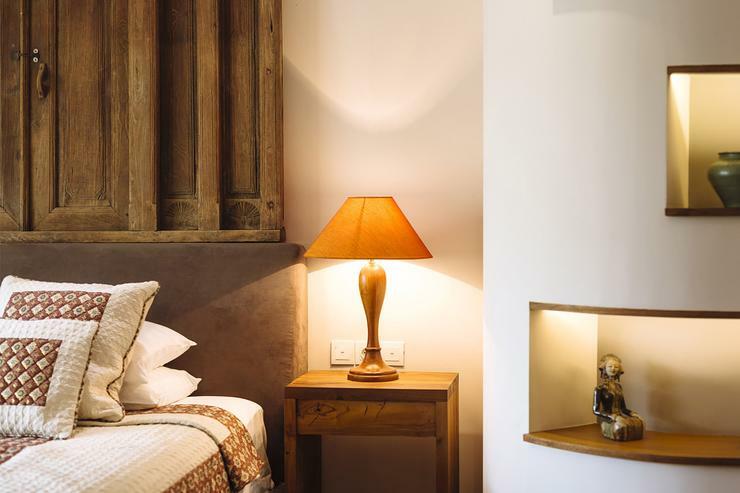 As your night comes to a close, sink into your plush mattress and slip away into a peaceful sleep. 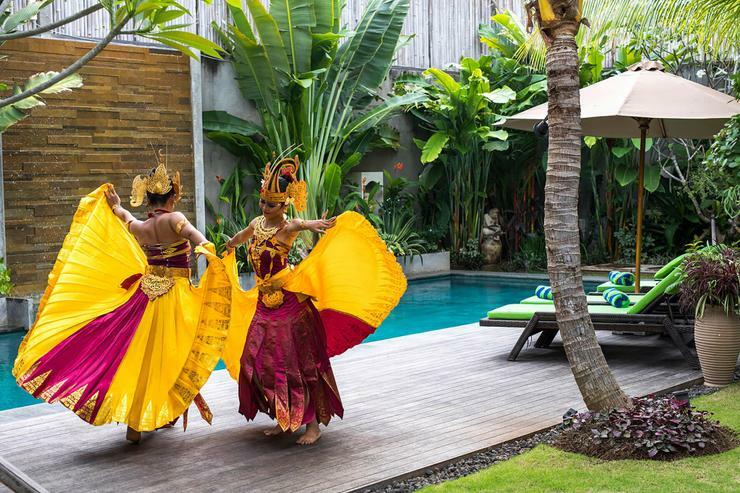 The Baganding Villa’s heart-of-Seminyak location brings the many delights of Bali right to your doorstep: sign up for a surf lesson; sip a cocktail at Ku de Ta; splurge out at a designer boutique; go organic at a hip Bali café or take in a traditional dance performance next to Pura Petitenget temple on Seminyak Beach.